A Russian athlete has broken her silence about the strong-arm tactics WADA ‘officials’ allegedly used against her in Europe. Her revelations come just days before Germany's ARD broadcaster reportedly premieres a documentary on doping scandal involving Russia. Anastasiya Bazdyreva, 24, decided to speak to RT before the feature is broadcast by ARD, the same channel whose 2014 report triggered the World Anti-Doping Agency (WADA) probe into alleged Russian doping. The track-and-field athlete revealed she had been contacted by a German journalist who said he was working on a "journalistic investigation" and asked her doping-related questions. "First I planned to leave his email without a reply. But then I considered it would be wrong," Bazdyreva told RT. Saying that although she is, "sick and tired of these pseudo-investigations," she feared her silence might have been interpreted as an admission of guilt. "No one even tries to listen to the other side of the story," she said, adding that she’s still worried the final version of the film would “twist” her statements and would not be portrayed in it proper context. "You know, in 2015 during European championship in Prague there was an attempt to lock me in a room with three WADA workers. I don't know whether they worked [for the agency] at that time, or were retired. I asked them several times to introduce themselves, but they denied to do so. But that's only half the trouble. After that there was an attempt to put pressure on me and have me interrogated with the use of physical force. And I didn't even have an idea what they were trying to discuss with me using such methods," she told RT. The athlete, who was subsequently disqualified after being accused of doping, also said that in the aftermath of the Prague incident, she's been "characterized as being 'aggressive and not willing to engage' in a WADA report." "So, three young meatheads without explaining their reasons try to force a girl into some room in one of the European capitals, and I'm being aggressive. I was just scared at that moment," she said. When asked about the reasons behind her decision to speak up, the athlete told RT she didn't "like it when people trade off their home country." She was referring to another Russian athlete, Andrey Dmitriev, who she has named as the main source of the German production. "Just a thought that I've interacted with a person who has agreed for a piece of silver to make up non-existent stories, makes me sick," Bazdyreva said. Russia has strongly denied accusations of large-scale doping by its athletes over the last couple of years. 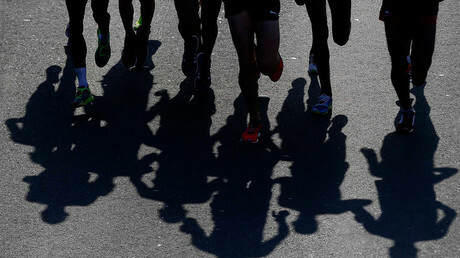 The allegations first surfaced following a documentary, also by German broadcaster ARD in 2014, which eventually led to WADA suspending the Russian Anti-Doping Agency, RUSADA in November 2015. The following year, WADA published a report from Canadian lawyer Richard McLaren, which detailed the results of his investigation into doping allegations at the Sochi 2014 Winter Olympic Games, which in turn brought sanctions against Russian athletes.